The market has been riding a huge wave of momentum, and investors continued to push stocks higher at the start of the week. The Dow Jones industrial average. 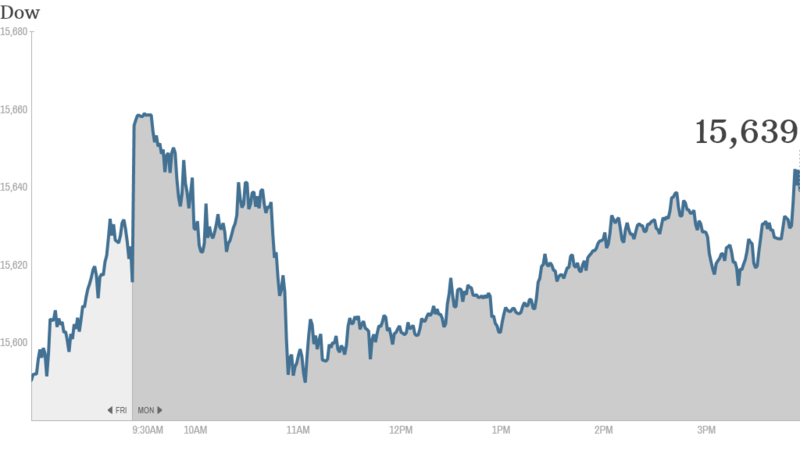 S&P 500, and Nasdaq ended Monday with modest gains. As the broader market edged slightly higher, there were some high-profile public companies making news. 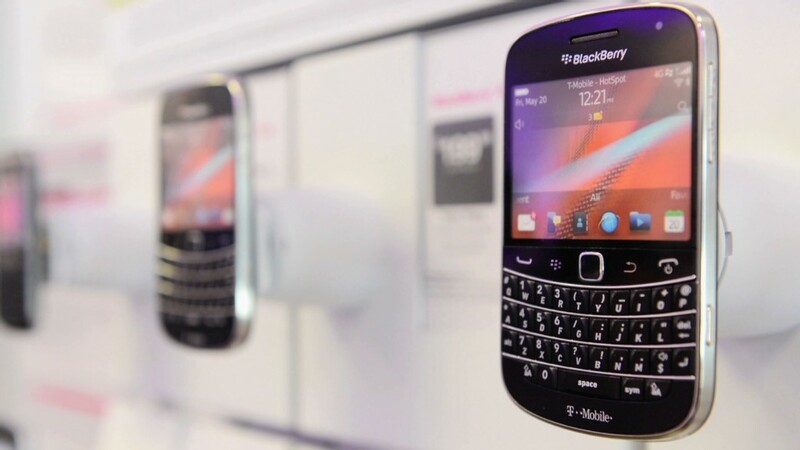 BlackBerry (BBRY) shares tumbled more than 16% after the company said it has abandoned its plan to sell itself. Instead, BlackBerry is receiving an investment of $1 billion from majority shareholder Fairfax Financial. The troubled Canadian smartphone maker also said that Thorsten Heins is stepping down as CEO, and that John Chen, former CEO of Sybase, will serve as interim chief. Chen was also appointed executive chair of BlackBerry's board of directors. StockTwits traders noted that this could mean more bad news ahead for BlackBerry. "$BBRY cost cutting, reducing workforce and eliminating products that don't make money are next," said Bondstocker. While BlackBerry is still trying to turn its business around, traders noted that the company's board will have to give Chen some extra room to maneuver. "$BBRY BBRY BOD must give Chen the latitude for change," Getmydrift. Meanwhile, shares of J.C. Penney (JCP) continued to rebound following last week's 20% advance. Traders on StockTwits were mostly bullish on the troubled retailer's future. "$JCP beautiful stores and great merchandise at good prices=jcp is here to stay and 13.50 is coming soon," said topsecret. GrandMaster said he believes J.C. Penney is a good trade because "many ill-informed" investors are still betting against the company. He expects more analysts will upgrade the stock soon. Shares of Tesla (TSLA) surged 8%. The stock was hit hard in October on concerns about its valuation. But investors are hoping the electric car maker will report strong earnings after the closing bell Tuesday. #Waiting for Twitter IPO: Twitter raised the price range for its initial public offering to $23 to $25 per share, from a previous range of $17 to $20. This is a sign of strong demand for Twitter's IPO. At the high end of the new range, Twitter would be valued at $13.6 billion. Twitter is expected to make its stock market debut later this week. The social network's IPO was a hot topic on StockTwits, especially in how it compares to Facebook (FB) as an investment. "I don't use $FB. Love $TWTR," said MistraKnowItAwl. "But until it generates a damned profit, why would I invest? I mean, I love oxygen too. Not paying for it." Another traded noted that Twitter will likely be a risky investment in its early life as a public company. "$TWTR Currently unable to monetize their platform, this will be a high risk play," lieberman said. "As was the $FB IPO. Could be a great day trade though." Related: How much juice does the market have? Later in the week, investors will get their first look at U.S. gross domestic product for the third quarter. The GDP report, due out Thursday, does not include the impact that the government shutdown had on the economy. But on Friday, the government will release the jobs report for October. That report could show softness in hiring because of uncertainty related to the shutdown and fears of a possible U.S. debt default. European markets finished with modest gains. London's FTSE 100 gained 0.4%, led by HSBC (HBC) after the global bank reported solid earnings. Asian markets ended lower.